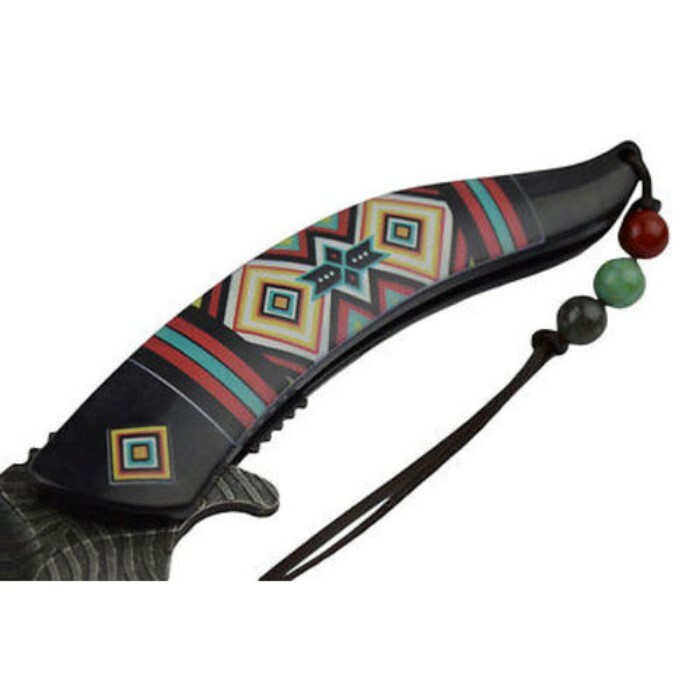 Indian Warrior Assisted Opening Pocket Knife | BUDK.com - Knives & Swords At The Lowest Prices! 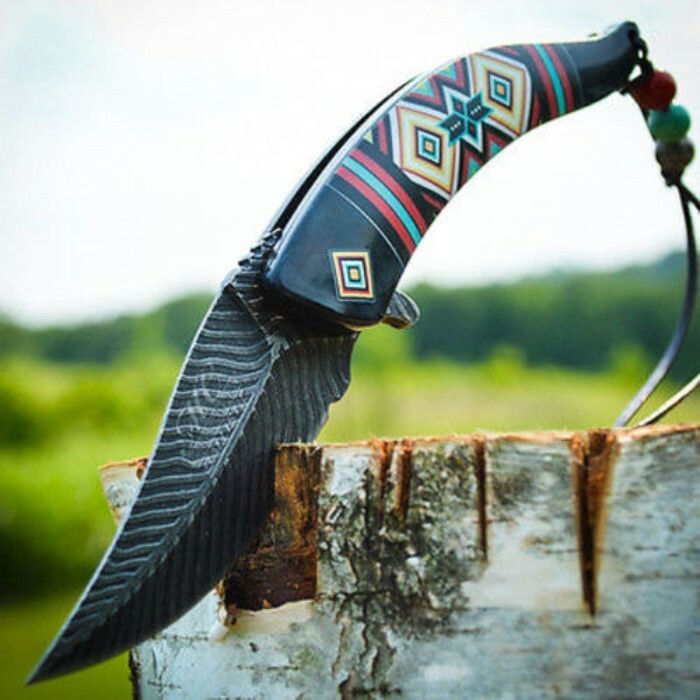 The Indian Warrior Assisted Opening Pocket Knife is a fantastic tribute to Native American heritage that is worthy of the true knife aficionado’s collection. 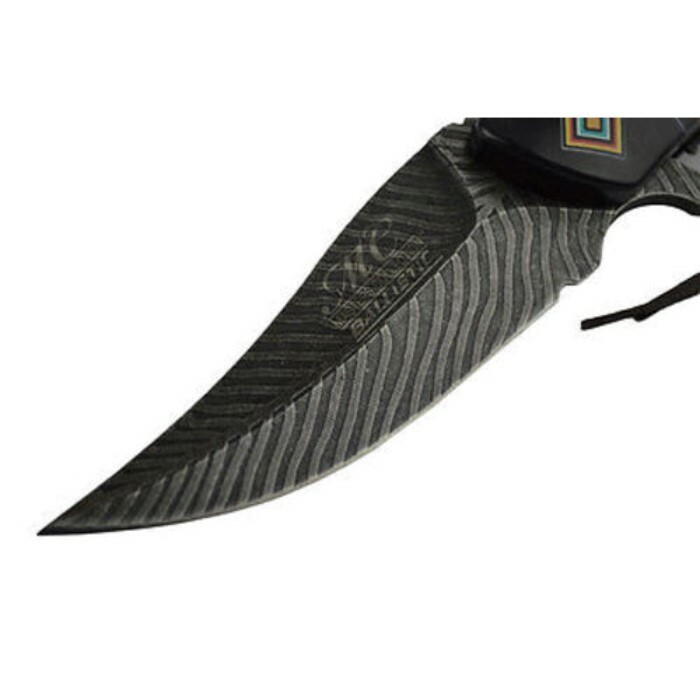 It features a 3 1/2" feather-shaped stainless steel blade with a black finish. 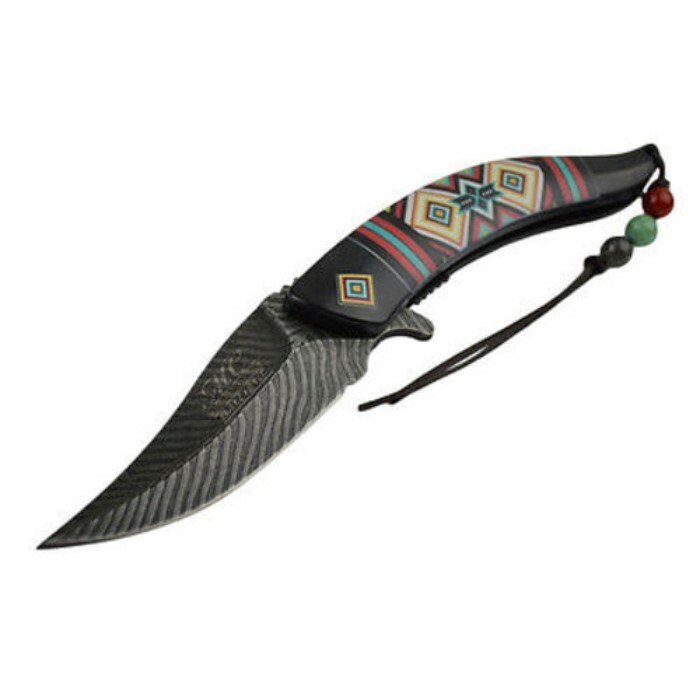 The black nylon fiber handle features an Indian blanket style pattern. 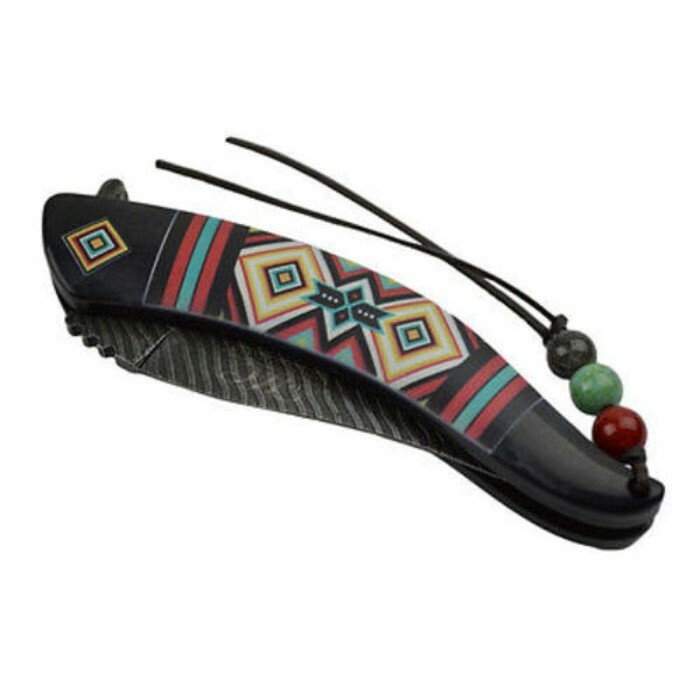 To complete the overall Native American look, it comes with a leather and bead lanyard. It is spring assisted and 5” closed. I bought a few of these knifes to add to my collection and I am very satisfied. they have a nice weight to them very sharp and they open very fast I am worried that the plastic (giving it the design) in the handle may fall off it is attached by glue. I love the design on the blade. I am very impressed I plan on buying more of these very soon. the leather with the beads is a very nice addition.